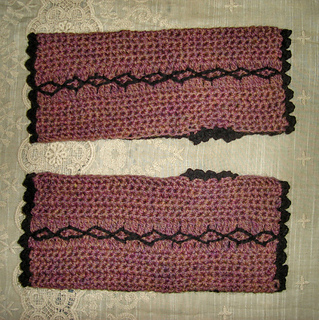 These mittens use a single and a double crochet stitch. Constructed in a one piece flat, then seamed with a slip stitch lengthwise. 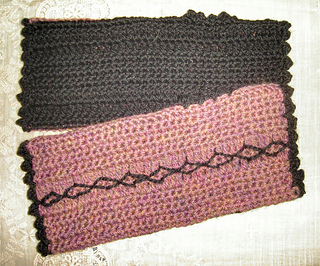 Crocheted picot stitches, and embroidered diamonds are made in contrasted color. Two colors make this piece versatile. 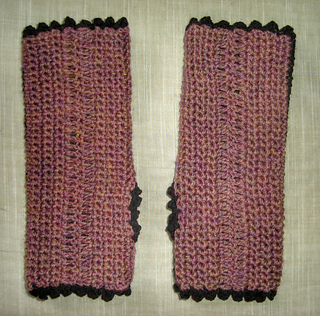 The delicate touch of the wool gives an extra warmth to your hands during chilly days!